Player: C Carlos Ruiz, Scranton/Wilkes-Barre. Hit .417 with 3 doubles, 2 Homers among his 10 hits; drove in 10 runs. He is hitting .442 for the month. For the season, Ruiz is batting .318 with 9 homers and 44 RBI. The 27-year-old was signed by the Phillies as an amateur free agent in 1998. Pitcher: LHP James Happ, Reading Phillies. 2-0 for 2 starts, allowing 1 R, 9 H and 3 BB while striking out 16. Since his promotion from Clearwater (3-7, 2.81 ERA, 13 GS) on June 30, Happ is 4-1. He has won his last 4 starts, posting a 2.10 ERA with 32 SO in 25.2 IP. The 23-year-old was a third round pick in 2004 out of Northwestern University. In 2 previous pro seasons, he was 6-6 with a 2.21 ERA. 5-2 week to pull within a game of first place in the North Division; they have won 8 of last 10 . . . LHP Brian Mazone won 2 games (6-game winning streak) to improve to 8-1 . . . RH closer Brian Sanches had a win and 2 saves . . . RHP Gavin Floyd improved to 4-1) on Wednesday, 7 IP, 8 H, 4 R, 2 BB, 7 SO . . . RHP Scott Mathieson (2-0) topped out at 97 mph on Thursday during an 8-5 win . . . 3B Brennan King hit his 10th and 11th HR, including a 12th inning game-winner on Sunday. Ended 5-2 with 4-game winning streak; 16 wins in last 20 games; fourth place in Southern Division . . . LHP Gio Gonzalez battled location problems, walking 13 and hitting 3 batters in 9.1 total IP over 2 GS . . . RHP Zack Segovia (8-4) won his fifth straight on Thursday, 6 shutout innings . . . CF Peter Bergeron hit .462 for the week, scoring 8 runs . . . OF Pedro Swan has hit in 13 of 14 games since joining Reading (.421). 3 wins, 3 losses, 2 rainouts to maintain lead in the West Division . . . RHPs Andrew Baldwin (7-6), Kyle Kendrick (5-4) and Patrick Overholt (1-0) were the winners . . . RF-DH J.J. Johnson hit .500 for the week with 3 doubles, 2 homers, 8 RBI . . . RHP Joe Bisenius (4-1, 1.93 ERA, 35 G) was promoted to Reading’s bullpen. 5-1 week began with 4 straight wins . . . Northern Division leader by 3.5 games . . . LHP Matt Maloney began the week with a win on Monday and ended with a win on Saturday. He leads the league in wins (12-5), ERA, (1.63) and strikeouts (125) . . . LHP Joshua Outman (8-5) won his third straight . . . RH relievers Andrew Barb (14) and Brett Harker (12) recorded saves . . . 2B Avelino Asprilla extended his hitting streak to 12 games (.400), boosting his average from .250 to .280 . . . 1B-3B-DH Clay Harris has an 8-game hitting streak, .419, 2 HR and 10 RBI . . . OF Greg Golson and RHP Ron Hill were promoted to Clearwater. 2-5 week drop Batavia to fourth place but only 1.5 games out of the Pinckney Division lead . . . RHP Andrew Cruse (2-2) won both starts, pitching shutout ball over 12 innings . . . RHP Mike Dubee had a pair of no decisions, allowing 2 R in 9 total IP . . . LHP Daniel Brauer (1-1) fanned 10 in 6 IP in 3-1 loss on Thursday . . . RHP Samuel Walls (0-1) lost on an unearned run on Friday. He has 4 saves in 10 appearances, a 0.00 ERA for 14 IP, 0 BB, 14 SO. He has been charged with 2 unearned runs. 2-2 week . . . After hitting .195 as a team through the first 21 games, the Phillies started the week with 15-11 and 12-11 wins . . . SS Adrian Cardenas drove in 5 of the 15 runs . . . OF D’Arby Myers had 3 hits and first pro homer in the first win. He went 5-for-6 with 2 doubles, a triple and 3 RBI in the second win. He was credited with a triple when he failed to touch home plate after hitting an apparent home run over the fence. “I’ve never seen that before,” explained Mike Arbuckle, Assistant GM. “We were trailing 11-10 when Myers homered in the 8th inning with a runner on base. When the next batter stepped in, the pitcher stepped off the mound, threw to the catcher who stepped on home plate and the umpire called D’Arby out for missing the plate by a couple of inches. I think the catcher and the umpire were the only ones to see the play.” Instead of a 12-11 lead going into the ninth, the teams were tied. 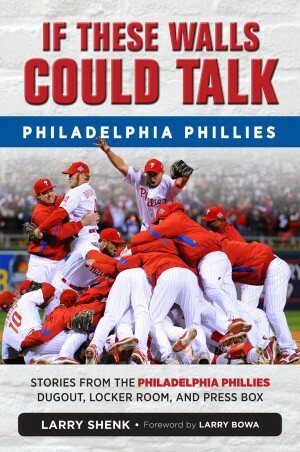 The Phillies won in the 12th inning . . . RHP Carlos Pena struck out 7 in 4.1 IP over 2 appearances. Here today and gone tomorrow. In real life, we all face that possibility. For professional athletes, it is more of a way of life. Someone is always after your job. Injuries can alter a career. Sal Fasano is a veteran catcher, a fellow who turns 35 next month. He has a wife and two sons. He arrived here as a free agent last December and became a folk hero with his Fu Manchu mustache and long black hair. He quickly became the first 2006 fan club, Sal’s Pals. Early in the season, Fasano sent pizzas to the upper right field stands where Sal’s Pals camped out when he played. The Phillies were his 17th professional team since he broke in in 1993. He seemed to have found a home. Then, he came down with a knee injury on July 2 and placed on the disabled list two days later. Nearly three weeks on the DL and rehab assignments at Clearwater and Reading were in store before he rejoined the Phillies on Friday, the start of a 12-game homestand. Like all Phillies, he arrived at Citizens Bank Park early in the afternoon on Saturday. There was a 4 o’clock game preceded by Photo Day, in which the players would parade around the field to allow fans to get close up photos. That was scheduled for 2:15 p.m. for 30 minutes. Sal was still on the DL although eligible to be activated. When he was going to be reinstated, someone had to go and the most likely candidates were catcher Chris Coste and reliever Geoff Geary, both of whom had minor league options. Around 1:45 p.m., Fasano was called into manager Charlie Manuel’s office. Joining Charlie were Pat Gillick and Ruben Amaro. The message was a very difficult one, Sal was being designated for assignment, meaning the Phillies have until July 31 to trade or release him. He wasn’t being activated; he was the one to go. Basically, he got caught in a numbers game which happens often in baseball. Despite a career in which he has been traded, released and signed numerous times, it still came as a shock and disappointment to Sal. He knew it was the business side of baseball but he wasn’t happy. While his teammates prepared for Photo Day, Sal went to his locker and began packing. Wearing a red t-shirt and blue workout shorts, he cleared out his locker: uniforms, belts, undergarments, bats, shoes, catching gloves, batting gloves, a football and elastic knee braces. He stuffed a large duffle bag and three cardboard boxes. It was a slow process. Once the players came back from Photo Day, one-by-one they shook his hand and hugged him. Several sat down and consoled him. There’s a bond among baseball players that those of us who aren’t players can’t experience. For seven-plus months, they live and go to war on the field together. They become friends for life. Three lockers away was Coste, the man who made Sal expendable. It was in the same clubhouse after the final spring training game in early April when Coste was angry and emotional after he was told he was going to Scranton. He had never been in the big leagues in 11 years of professional baseball and at age 33, time was running out. Nearly four months later, there was a similar scene. This time Coste stayed. Three’s a tendency to view professional athletes as special people, people to idolize, people that appears to be non-human. Seeing Sal pack and the affection he received from his former teammates brought the reality that baseball players are human beings, very human. Baseball’s trading deadline is right around the corner, 4:00 p.m. (EDT) on Monday, July 31. Be prepared for all kinds of rumors, some legit and most far out. Newspapers, radio, TV and websites will be exploding with rumors. You’ll read and hear, “according to a source,” so-and-so will be traded for so-and-so. Love those unidentified sources. Unlike other professional sports, baseball’s trading deadline means a ton of news, which is a plus for the sport. There is never this kind of frenzy in the NBA, NFL or NHL. Perhaps baseball is still the national pastime and not past its time as some experts would claim. Some teams are looking to add offense. Most are looking for pitching, both starters and relievers. Pitching is still the name of the game. Teams win with pitching. Look no further than the Detroit Tigers in the American League and the New York Mets in the National League, leaders of their respective divisions. The Tigers’ emergence from 12 seasons of losing baseball can be traced to the mound. In 2005, their 4.51 ERA ranked 8th in the AL. The staff totaled two shutouts. This year, the Tigers have the best ERA in the majors (3.56) and lead all teams with 12 shutouts. No other team has an ERA under 4.00. The Mets lead the NL with a 4.10 staff ERA. A year ago, the top two ERAs in the NL belonged to St. Louis (3.49) and Houston (3.51). The Astros went all the way to the World Series where they fell to the Chicago White Sox, who shared the AL ERA lead a year ago (3.61). Starting pitching carried the White Sox to the World Championship. Strangely, this year four of their five returning starters have ERAs over 4.40 which is one reason they are looking up at the Tigers in the AL Central Division standings. With so many teams looking for pitching, it is rather obvious that there is a scarcity of arms. It has been that way for a long time, just not a current theme. A check of all pitchers reveals there are a total of 23 who have won 10 or more games. That isn’t a large number considering there are 30 teams and we are beyond the halfway point of a 162-game season. For further evidence on the scarcity of pitching just check the disabled lists in the majors. Going into this week, a total of 86 pitchers were on the DL. Granted some of them probably wouldn’t be in the majors if they were healthy but 86 is still a big number. Get ready for another wild rumor ride filled with analysts analyzing anything and everything. Player: 3B Brennan King, Scranton/Wilkes-Barre. Became the second player in franchise history to hit for the cycle on Friday; included was a grand slam and 8 RBI. For the week, he had 3 doubles, a triple, 2 HR and 12 RBI while batting .500. For the season, King is hitting .277 with 9 homers, 39 RBI. The 25-year-old was signed as a minor league free agent last fall. Pitcher: RH reliever Nate Johnson, Clearwater. Won 2 and saved 1 in 3 appearances, pitching hitless ball over 4 innings with 1 walk and 4 strikeouts. For the season, he is 6-2 with a 2.56 ERA; opponents are batting .218 in 45.2 innings. He hasn’t allowed a run over his last 8 appearances dating back to June 23. The 24-year-old was a 20th round pick in 2004 out of the University of Iowa. Short week because of the All-Star break . . . Won last 3 after losing on Thursday; second place in the North Division . . . RHP Gavin Floyd (3-1), 7 IP, 4 H, 0 R, 1 BB, 6 SO and RHP Scott Mathieson, making his AAA debut, 6 IP, 6 H, 2 R, 1 BB, 7 SO, were winners . . . LHP Eude Brito (8-5) had a no decision on Sunday, 5 IP, 3 H, 0 R, 3 BB, 5 SO . . . RHP Brian Sanches picked up his 14th save; he has 10 saves in last 13 appearances . . . SS Danny Sandoval hit in every game to extend his hitting streak to 11 games . . . CF Michael Bourn hit .375 in his first 10 AAA games with 6 steals to go with 30 stolen bases at Reading. Won all 5 games, increasing their winning streak to 6 games . . . Moved into fourth place in the Southern Division on the strength of 11 wins in 13 games . . . Scott Mathieson won his last AA start on Monday . . . LHP James Happ (2-1) struck out 10 in 5.2 innings in picking up a win on Thursday . . . LH closer Chris Key won on Friday and recorded his ninth save the next night . . . RHP Zack Segovia (7-4) earned in a win in relief on Sunday, boosting his overall record to 12-5 (including Clearwater) . . . 1B-DH Gary Burham drove in 6 runs on 7 hits, including 3 homers. He homered twice on Friday and also stole home. Won last 4 in 5-1 week to take over first place in the West Division . . . LHP Derek Griffith (6-6) won his second straight start . . . RHP Kyle Kendrick evened his record at 4-4 . . . 2B Tim Moss had 10 hits and 7 runs in the 6 games . . . LF Branden Florence leads all Phillies minor leaguers with 105 hits. 3-3 week, including losses in final 3 games . . . Still in first place, Northern Division . . . LHP Matt Maloney (10-5) won on Tuesday in second game of a DH . . . RHP Carlos Carrasco (7-5) won the next night . . . Saves were recorded by RHPs Andrew Barb (13) and Brett Harker (11) . . . LF Jeremy Slayden had 9 hits in the 6 games . . . 2B Avelino Asprilla also had 9 hits and drove in 5 runs. 3-3 week dropped Batavia to third place, .5 games out of first . . . RHP Alexander Concepcion (2-3) struck out 10 in 6.2 IP of a 5-0 shutout on Monday . . RHP Edgar Garcia (2-2) won on Friday . . . RHP Samuel Walls had 2 saves in 3 outings; 0 ER in 10.2 IP for the season . . . LHP Daniel Brauer had a no decision on Saturday, lowering his ERA to 0.47 (1 ER in 19 IP) . . . CF Quintin Berry has a 5-game hitting streak. Pitcher: LHP Eude Brito, Scranton/Wilkes-Barre. Won both starts, extending his winning streak to three straight games. He allowed 1 run in 7 IP on Tuesday and pitched a 9-inning, complete game, 5-hit shutout on Sunday. He totaled 12 strikeouts, 8 hits and 1 walk in the 2 starts. The 28-year-old Brito was signed as an amateur free agent in July 3, 1998, out of Sabana de La Mar, DR. Player: 3B Welinson Baez, Lakewood. In 7 games, he batted .393 with 5 RBI and 3 runs scored. Among his 11 hits were 6 doubles, giving him 24 for the season, matching teammate Jeremy Slayden for the most in the Phillies minor league system. The 22-year-old was signed as an amateur free agent on August 28, 2002, out of Bani, DR.
Won 4 of 7 games; 2nd place, North Division . . . LHP Brian Mazone fanned 10 in 7 IP in a no-decision . . . RHP Brian Sanches recorded his 12th and 13th saves; he has saves in each of his last 6 appearances (8.2 scoreless innings) . . . CF Michael Bourn was promoted from Reading on Tuesday. He hit .435 in his first 6 AAA games. 5-2 week; 5th place, Southern Division . . . LH closer Chris Key picked up a win and two saves, #7-8 . . . RHP Zack Segovia (6-4) hurled his first 9-inning complete game of his pro career, a 5-0 shutout over Altoona on Tuesday and won again on Sunday . . . LHP James Happ won his first AA game on Wednesday, striking out 6 in 6 IP . . . LHP Gio Gonzalez fell to 4-9 the next day. He struck out 3, boosting his total to 112, tops in the Phillies minor league system . . . RHP Nick Evangelista improved to 3-0 in Friday’s win . . . RHP Nick Mattioni recorded his fifth save with 4 scoreless innings on Sunday . . . It has been a tough time for Reading players selected to the AA All-Star Game: LHP Daniel Haigwood (traded), CF Michael Bourn (promoted), INF Carlos Leon (sore knee limited him to 3 games) and OF-1B Matt Padgett, named as in injury replacement, broke his left elbow in a collision at first base on Friday . . . Veteran minor league OF Pedro Swan signed with Reading; he was 3-5 in his first game on Sunday. Also 5-2 for the week; 3rd place, West Division . . . LHP Derek Griffiths (5-6) worked 7 innings in a 7-0 shutout over Tampa on Monday . . . RHP Andrew Baldwin evened his record at 6-6 with a pair of wins . . . RHP Joe Bisenius was the winner on Friday with 3.1 scoreless relief innings, allowing 2 opposite field singles . . . RHP Adam Shafer recorded his 11th and 12th saves and then blew a save by giving up 4 ninth-inning runs in a 7-4 loss on Saturday . . . CF Brian Burgamy has reached base in 70 of 75 games this season. He hit his 9th and 10th homers during the week. Stayed on top in the Northern Division with a 6-1 week . . . The offense scored 52 runs in the 6 wins . . . LHP Zack Cline (4-1) won his third and fourth straight, 6 innings in a 15-0 romp on Monday and 6.2 innings in an 8-3 decision on Saturday. He did not pitch a year ago after Tommy John surgery . . . LHP Joshua Outman (7-5) won on Tuesday, 7 SO in 7 IP and again on Sunday; in that game he gave up 2 first-inning runs and then retired the next 15 . . . RHP Andrew Barb, the closer, gave up his first runs since June 2 but emerged the winner when Lakewood rallied for a 6-5 win on Wednesday . . . LHP Matt Maloney improved to 9-5 and lowered his ERA to 1.63, best in the South Atlantic League on Friday . . . CF Mike Spidale was 5-for-5 in Sunday’s win over Hagerstown . . . LF Jeremy Slayden drove in 15 runs on 8 hits, including 5 doubles. 5-1 week, winning the last 4; 1st place, Pinckney Division . . . RHP Ben Pfinsgraff was 1-1 in 2 appearances; an unearned run paved the way for a defeat on Friday; his 3-1 record tops the staff . . . RHP Garet Hill won his first pro game on Thursday, 8-1 with 5 scoreless innings . . . RHP Edgar Garcia beat Hudson Valley on Saturday, 9 IP, 6 H, 1 R, 0 BB, 7 SO . . . CF Quentin Berry was 5-for-6, 3 R, 3 RBI in 16-3 win on Sunday . . . SS Jason Donald leads the club with a .333 average. 1-6 week, losing last 5; 5th place, North Division . . . RHP Matt Olson had the lone win on Monday . . . RHP Yen-Feng Lin recorded his first pro save . . . RHP Mike Dubee, son of Phillies pitching coach Rich Dubee, made his pro debut on Wednesday, a no decision, 4 IP, 4 H, 0 R, 0 BB, 1 SO . . . 3B Herman Demmink leads the club with a .320 average. Pitcher: RH Julio De la Cruz, Clearwater Threshers. Beat Tampa on Saturday, 8 innings, 4 hits, 0 runs, 1 walk and 3 strikeouts. Is 2-0 with a 0.63 ERA for last 2 starts. The 25-year-old was signed as an amateur free agent in 2001 out of the Dominican Republic. He did not pitch in 2004 and 2005 as he recovered from elbow surgery. Player: OF Jay Miller, Batavia Muckdogs. Made pro debut last week and hit safely in all 5 games, a .611 average (11 for 18) with 4 doubles, 1 HR, 3 RBI and 5 R. The 22-year-old was selected in the 17th round this June out of Washington State University. Won 4, Lost 4, Rainouts 2 . . . RHP Brian Sanches had his second consecutive 2-save week . . . RHP Gavin Floyd rebounded from 2 tough outings for a 3-2 win on Wednesday, 7 IP, 5 H, 2 R, 2 ER, 0 BB, 6 SO, in first game of a DH . . . LHP Eude Brito also rebounded with a 5-2 win in the first game the next night, 6 IP, 6 H, 2 R, 1 BB, 7 SO; he gave up 4 hits, 2 runs to start the game and then pitched shutout ball through the sixth; he also picked two runners off first base . . . LHP Brian Mazone stretched his record to 6-1 during a 10-1 romp on Friday . . . 2B Joe Thurston hit in 17 of 18 games before being blanked in back-back games. 1 earned run in 15.1 innings since joining Reading from Clearwater on June 3 . . . RHP Zach Segovia evened record at 4-4 . . . LHP James Happ (3-7, 2.81 ERA, 77 SO, 80 IP at Clearwater) made his Reading debut on Friday, losing 5-3 (2 earned runs allowed); 3 Reading pitchers totaled 16 strikeouts in the 9-inning loss . . . Ryne Sandberg had his uniform number (26) retired on Sunday before 8,553. He was a shortstop at Reading in 1980 . . . CF Michael Bourn, LHP Gio Gonzalez and INF Carlos Leon were named to the AA All-Star Game, July 12 in Altoona . . . Gonzalez will pitch for the USA Team in the MLB Futures Game, July 9 in Pittsburgh. While SWB and Reading totaled 5 rainouts, Clearwater, playing in the Florida muggies, didn’t have one last week, a week in which the Threshers split 8 games . . . LF J. J. Johnson drove in 5 runs on Wednesday, helping RHP Andrew Baldwin improve to 4-6 . . . 2B Tim Moss hit two homers in the week . . . Clearwater drew 8,216 on Friday night, a record for the Threshers . . . RHP Julio De la Cruz (4-4) and RHP Adam Shafer (10th save) combined on the 3-0 shutout of Tampa. Andrew Barb recorded his 11th and 12th saves; he’s allowed 1 ER since May 29, picking up 6 saves . . . RHP Carlos Carrasco (5-4) won 2 games; he was named to the World Team in the July 9 MLB Futures Game . . . LHP Matt Maloney pitched Lakewood into first place on Tuesday but had his 4-game winning streak end Sunday. W 2, L 3, Rain 2 . . . LHP Daniel Brauer made pro debut on Monday, 4 IP, 1 H, 0 R, 3 BB, 3 SO . . . OF Quintin Berry ended a 0-for-29 pro start with an infield hit on Thursday . . . LF Jay Miller had 4 doubles among his 11 hits for the week. He’s hitting .441 in 10 games. 3-2 week . . . RHP Gilmar Pereira pitched 3 scoreless innings to pick up a “hold” on Thursday . . . RHP Darren Byrd got the win in that game, 6 SO in 5 IP . . . RHP Drew Naylor got his first win on Friday, 0 R in 5 IP . . . 3B Herm Demmink made his pro debut on Thursday; he hit .500 (5-10) in his first 3 games with 3 RBI. SS Adrian Cardenas, the Phillies supplementary pick in the June draft, was named the High School Player of the Year by Baseball America. He and RHP Kyle Drabek, the #1 pick) were named to the publication’s All-American first team . . . Cardenas and Drabek also received All-American honors from USA Today. Chase Utley has gone from the Phillies #1 pick in 2000 to the starting second baseman for the National League six years later. Thanks to the fans, the 27-year-old Utley will be in the NL starting lineup when they take on the American League in Pittsburgh’s PNC Park on Tuesday, July 11. Utley became the fifth second baseman in Phillies history to be a starter. He joins Emil Verban (1947), Granny Hamner (1954), Manny Trillo (1982) and Mariano Duncan (1994). For the second straight year, the Phillies will have three All-Star representatives. 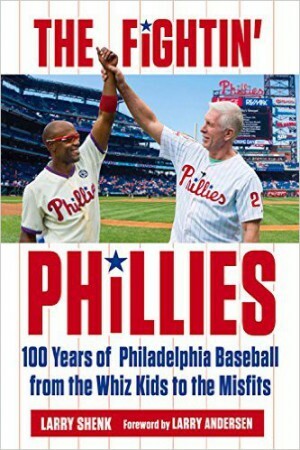 In addition to Utley, first baseman Ryan Howard and closer Tom Gordon were chosen. Last year, it was Bobby Abreu (a starter), Jimmy Rollins and Billy Wagner. The Phillies could have a fourth and that will be up to fan voting in the Monster.com 2006 All-Star Final Vote balloting that is underway online on this website. Votig ends at 6:00 p.m. this Thursday, July 6. Abreu, who was elected as the final player two years ago, is running against left-handed pitcher Chris Capuano (Milwaukee), reliever Wagner (Mets), first baseman Nomar Garciapara (Los Angeles Dodgers) and right-handed pitcher Chris Young, the Princeton product. For details, just click on this website and vote. Phillies will have two prospects in the Futures Game that will be played on All-Star Sunday, July 9, at Pittsburgh. Reading LHP Gio Gonzalez will be on the USA Team; Lakewood RHP Carlos Carrasco will be on the World Team staff.